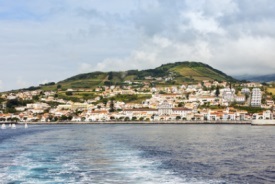 The Azores Islands are famous for their flora and fauna -- there are more than 50 native vascular plants on the islands, as well as hundreds of species of fish in the waters. The islands are known for deep-sea fishing -- a number of world records have been set here! Spend time hiking, parasailing or horseback riding. Shop for local handicrafts, made in century-old traditions by the artisans of Azores.